The crust is on the bottom like always, but directly on top of the crust is fresh mozzarella, followed by the toppings, with sauce and spices on top. 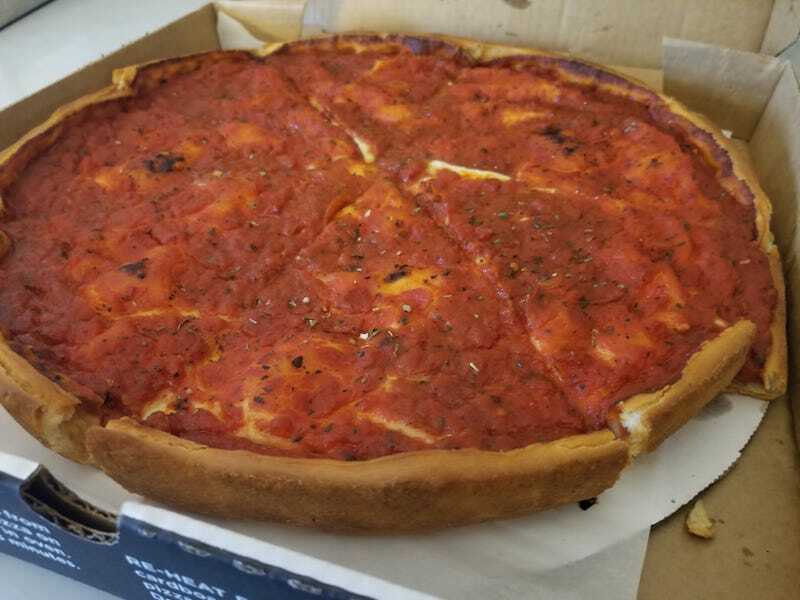 All-in-all it’s about an inch thick, with perfectly chewy crust and the most flavorful sauce I’ve experienced. But the real star was that ooey, gooey mozzarella. If you’ve had *good* mozzarella you know that it’s in a different league than the typical stuff. And this place uses some *good* mozzarella.